The 2017 Philadelphia Flower Show, “Holland: Flowering the World,” will celebrate the beauty and ingenuity of Dutch culture, from vivid flower fields to innovative eco-design, March 11-19 at the Pennsylvania Convention Center in Philadelphia. No other country is as well known for its floral industry as the Netherlands, which fills the world with color. 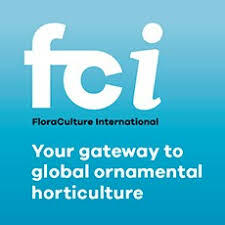 In fact, 50 percent of the world’s trade in floricultural products and 24 percent of the world’s trade in horticulture products is in Dutch hands. The Netherlands is No. 1 in the world for greenhouse horticulture, export of fresh vegetables, and producer of seeds. The Netherlands is also home to the largest auction of flowers and plants. The Philadelphia Flower Show will transport guests to the rainbow landscapes of tulips, hyacinths and daffodils and the cut-flower and bulb markets that have shaped Dutch history. America’s premier floral and garden designers will celebrate facets of Holland’s culture throughout the 10 acres of exhibition halls at the Philadelphia Flower Show. The Flower Show will also explore the innovation that has defined the Netherlands’ approach of using its unique landscape, from windmills — one of the earliest uses of natural energy — to the modern Ecodome, which showcases the beauty of the Dutch landscape and the innovative achievements of the Dutch designers in the field of sustainability. Leading designers from the Netherlands, including Nico Wissing, Bart Hoes, Bart Bresser, and New Jersey-born Carrie Preston, will share their extraordinary floral and garden styles in major exhibits at the Flower Show. The Flower Show will feature windmills, canals, and water gardens in a sea of 30,000 flowers, with 6,000 suspended in a giant floral canopy. Guests will pass under a brick bridge inspired by Amsterdam cityscape and adorned with Delft tile patterns, overflowing flower boxes, and hanging baskets. A highlight of the Flower Show will be the Ecodome, a 1,000-square-foot dome designed by Nico Wissing, founder and owner of Greenm2 and NL Green Label, as a collection of ideas built up around the calling card of the Netherlands’ green sector. The dome brings together a variety of new materials and combines several disciplines in a process known as “sustainism.” Not only is the design innovative, the program that revolves around the Ecodome is a remarkable showcase for the best of what the Netherlands has to offer in green, innovation and sustainability. Some of the features of the Ecodome include moss water storage, an insect “hotel,” bio-based furniture, living walls, fruit trees, climbing plants, and herbs and edible plants. Together with the top sectors of the Dutch economy, the Ministry of Economic Affairs is taking the lead in telling the story of Dutch sustainability through the Ecodome. As a special gesture of appreciation to the Pennsylvania Horticultural Society for choosing “Holland: Flowering the World” as the theme of this year’s Flower Show, the Royal Netherlands Embassy will give a new breed of tulip to the City of Philadelphia during the Flower Show Preview Party Gala on March 10. The tulip is a result of a 19-year breeding process by Remarkable Tulips, a breeding company in Lisse, a small town just southwest of Amsterdam. Its pedals are brick red and have fringed edges that capture sunlight. But the tulip does not yet have a name, so the embassy is running an online poll so members of the public can vote on their favorite of three finalists: Philly Belle, Philly Love or Pretty Philly. You can vote for your favorite name at this link: nlintheusa.com/philly-tulip. The winner will be announced during preview gala. Three Dutch speakers will also give presentations during the Flower Show to share their horticultural and floricultural expertise with visitors. Jack de Vroomen of De Vroomen Garden Products will present “Flower Bulbs” in the Gardener’s Studio at 10 .m. March 11. 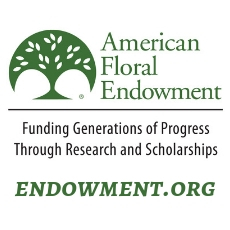 He will discuss the production, trends of flower bulbs and show pictures of beautiful flower fields. Carrie Preston of Studio Toop will present “Postage Stamp Gardens: Beautiful Places in Small Spaces” in the Gardener’s Studio at 6 p.m. March 14. The average Dutch garden is just 650 square feet, so Dutch garden designers have become experts in small-space design. Aafje Nijman of Bureau Nijman + Van Haaster will present “Trends 2017 Radical Reframe” in the Gardener’s Studio at 1 p.m. March 17 and 5 p.m. March 18. She will share her expertise in interior design and gardening, and talk about expected trends for flowers and plants in 2017. Follow the Philadelphia Flower Show on Twitter using #FlowerShow! Members of the press who are interested in the Ecodome or the Dutch horticultural industry should contact Carla Bundy of the Dutch embassy’s Public Diplomacy, Press and Culture department.